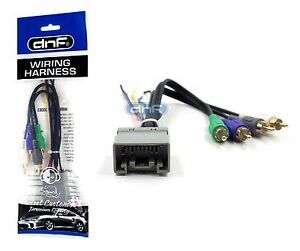 AMP INTEGRATION HARNESS FOR TOYOTA LEXUS. DNF PREMIUM AMP INTEGRATION. 100% Copper Wires. ( AMP System). For Factory Amplifiers and Speakers. ( AMP System/ JBL). LAND CRUISER: 2001-2011. SEQUOIA: 2001-2004. Immediate payment of US $5.55 is required.